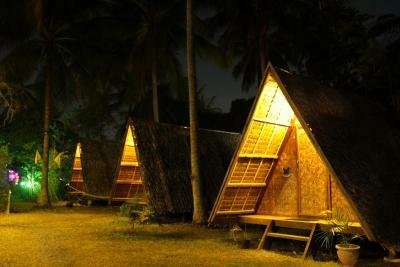 Lock in a great price for Archery-Asia Nipa Huts & Camping Moalboal – rated 8.2 by recent guests! The staff were very friendly and welcoming. The area is lovely and the huts are spread out enough that doesn't make you feel like you are sleeping right next door to your neighbour. The location is great but you definitely need a moped to get into town as it's about a 10 minute drive. The airport shuttle the staff arranged was lovely and good value for money. Very clean accommodation. We loved how quiet and relaxing the area was during the day. The lounge area was comfortable and breezy. The staff were accomodating. The fan in our room definitely helped with the warmer night. The dogs here were friendly (we love dogs)! Everywhere you look is relaxing. The ambiance of the place itself suits for thw people who wants peace of mind. Sound of nature during the night was the best. Extremely clean. Hut is very authentic, but has everything what you need: fan, light, plugs, towels. The common space is huge and also clean. They provide a drinking water, tea/coffee. Also you could rent a motorbike there. Nice space to chill: you live inside the forest with a lot of palms around. Amazing views. Staff and owner are very helpful. Totally recommend to stay there (especially if you can drive a motorbike). The place is really what I've expected. A little far from the sea but it's a great experience. We were a family of 12 renting (4) of the bigger huts and (2) smaller ones. 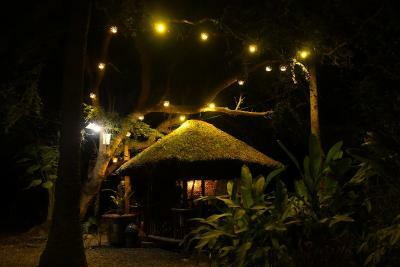 The huts, surrounding areas and lounge area were true to the Filipino way of life which we loved. The staff was very accommodating in all our requests. The WiFi was pretty good service. The location is nice and it's quite and green, the stuff was friendly too. But only advisable by motorbike. I liked the location despite it was a bit far from the proper and road was u finished. 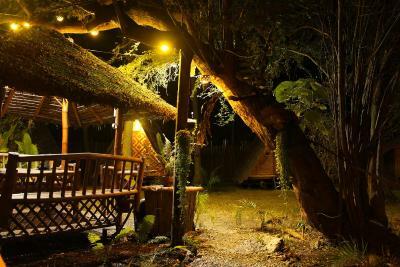 It was like a foresty cozy and simple get away from the busy city. Air was fresh and place was quite. Staff were also good and accomodating. I like the bungalow also because it was unique and even if it was quite small (at least the one i chose to stay in) it feels spacious and cozy. P.s they have options in the size of rooms u stay in. Would definitely stay there again! 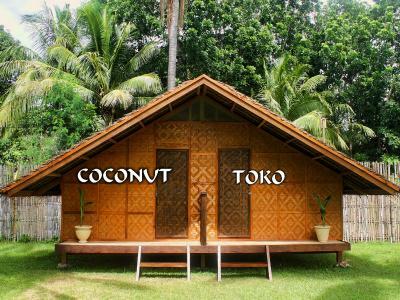 The experience was really nice because u get to stay on ur own nipa hut. A bit warm tho because no airconitioning, but still ok because it was part of ur experience in back to basic lifestyle. Staff was so accomodating and kind. The entire place feels so comfortable! Highly recommended especially if you’re travelling on a budget. 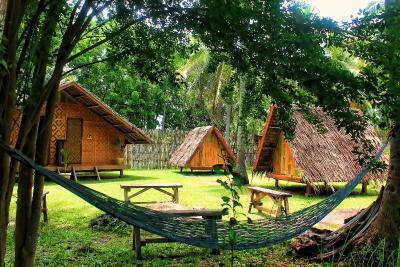 Archery-Asia Nipa Huts & Camping Moalboal is located in ARCHERY-ASIA Ranch in Moalboal, 56 mi from Cebu City. The property offers WiFi access, barbecue, campfire facilities and seating area. Free private parking is available on site. 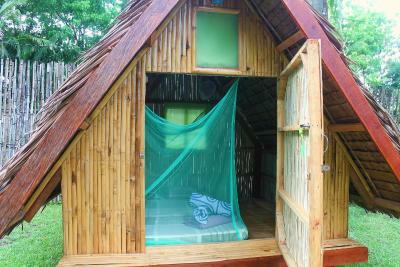 Bungalows come with a private entrance, a fan and mosquito net. A mattress, bed linen, towels and a free bottle of water are provided. The communal bathroom comes with a toilet and a cold shower. You can play 3D archery, darts or badminton at the property, and the area is popular for hiking. 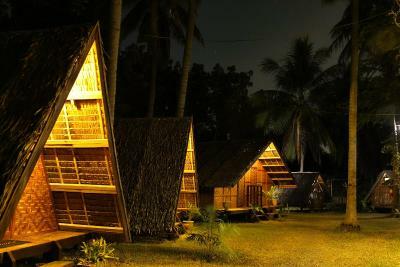 The nearest airport is Mactan Cebu International Airport, 57 mi from Archery-Asia Nipa Huts & Camping Moalboal. 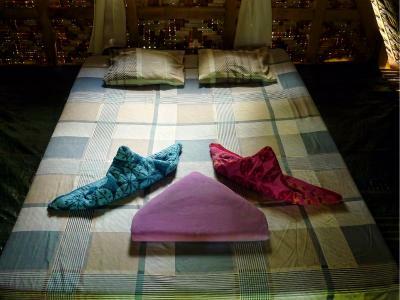 Archery-Asia Nipa Huts & Camping Moalboal offers different breakfasts in the morning at additional charges. There is a small kitchen and a camping shop with cold drinks, noodle soups, nuts and other food items on-site. 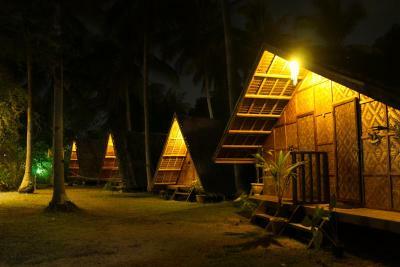 When would you like to stay at Archery-Asia Nipa Huts & Camping Moalboal? This bungalow has a private entrance, a fan and mosquito net. This double bungalow has a private entrance, a fan and mosquito net in each room. This bungalow features a private entrance, a fan and mosquito net. 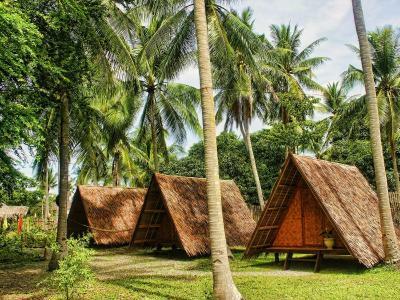 House Rules Archery-Asia Nipa Huts & Camping Moalboal takes special requests – add in the next step! All children under 12 years are charged PHP 250 per night for extra beds. 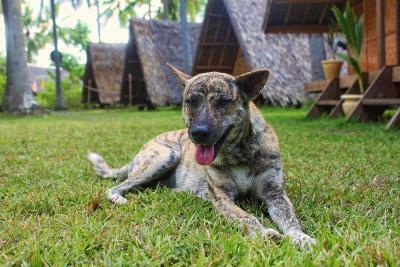 Friendly people and Unique experience in a hut. I just love the overall stay and we'll definitely go back with friends next time. The staff were really friendly and helped us with any questions we had. We didn’t get to do the archery on site but it looked amazing! Very basic but great value for money and a real provincial experience. The grounds were well maintained and aesthetically pleasing. The small restobar had comfy sofas to sit on and a tv. Bring earplugs if you’re a light sleeper. You can hear everything outside from inside your hut. Clean bathroom and friendly staff. You can chill at night at the lounge. There are board games, darts, cards etc to play with and you can also buy food there. The place is peaceful and perfect if you just need to relax and have some time with nature and do archery. Great breakfast, friendly personnel and wonderful location. The fan isnt too high cant accomodate the whole space for a very hot weather during daytime but its gets cooler at night. yes. The place is so quite and surrounded with nature. My family loves nature a lot. Fresh air and plenty of space for my child and pet to.play and run. I did like almost everything about the place. It's clean and peaceful. Just a right place to relax. Firstly the guy working at night just had no interest in hospitality in the slightest, he was more interested in watching skate videos with his mate. 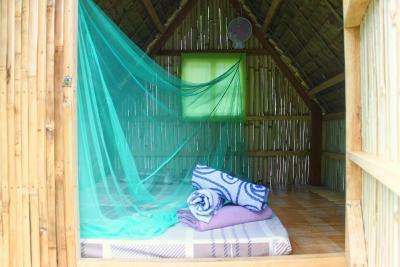 Once the mosquito net was up in the hut, there was barely enough room for one person let alone two. We have stayed in bamboo huts in Thailand which were twice as good and half the price. It’s in the middle of nowhere which isn’t necessarily a bad thing but you’ll need to be comfortable at riding a motorbike. The bathroom drains were blocked with hair. They play loud ‘club’ music at 730 in the morning.... a rather annoying involuntary wake up call. I felt sorry for the guy we heard arrive at 0130. Lastly we asked the night guy to book us a tricycle for 8am the next day, went out there at 0750 to check it was coming and they were oblivious, so our ride didn’t get there until 830. Then they had the cheek to try and charge us 400p for a 150p journey. I wouldn’t recommend. The beds were extremely uncomfortable, it's a mattress on the floor but the mattress is very thin. The fan on the ceiling isn't powerful enough so it doesn't reach the bed to cool you down. Although this place is great value for money, I feel like we got what we paid for.